Placing an order implies that you abide fully and unreservedly by these conditions, to the exclusion of any other documents which might be issued by Traditions de Provence (Four des Navettes) and which are for information only. If, at any given time, Traditions de Provence (Four des Navettes) should fail to claim the benefit of any one of these conditions, this may not be interpreted as a waiver of the right to claim the benefit of the aforesaid conditions at a later date. Traditions de Provence (Four des Navettes) SA asks you to read the clauses below carefully. This contract is made up of its general conditions of sale and, in descending order of legal value, the purchase order. The parties hereby agree that this contract is subject to French law. Traditions de Provence (Four des Navettes) informs the consumer of all of the essential characteristics of the goods offered for sale. These characteristics appear in support of the photograph illustrating the range, it being hereby specified that there may be alterations due to the processing or reduction of the photograph which may make certain details invisible. The consumer thus acknowledges that the photograph showing the product which appears on the website is for information only and has no contractual value. Generally speaking, these characteristics relate to the dimensions, weights, quantities, colours and components of the goods offered for sale. Unless otherwise stated, all goods offered by Traditions de Provence (Four des Navettes) may be sent to all of the countries available on the website, with the exception of Eastern Europe (except for Poland) and North Africa. The consumer is aware that the goods will be shipped to him or her by post or by any other appropriate means. Orders are not final until they have been confirmed by Traditions de Provence (Four des Navettes), including confirmation of the references of the goods ordered, the price, payment method and terms and conditions of delivery, sent by e-mail or by any other means at the company’s convenience. These order confirmations will be archived at the Traditions de Provence (Four des Navettes) SA centre and shall be considered to be equivalent to proof of the nature of the agreement and its date. All orders are personal to the consumers placing them and may not be transferred without the agreement of Traditions de Provence (Four des Navettes). Any change to or termination of an order requested by the buyer may only be considered if it arrives by e-mail or by any other written means prior to the shipping of the products. Deliveries are made subject to availability and in the order in which orders arrive; Traditions de Provence (Four des Navettes) is authorised to proceed to make deliveries either in full or partially. Traditions de Provence (Four des Navettes) hereby undertakes to make every effort to deliver the products ordered within 15 days from confirmation of the order. It is hereby specified that these times can only be given for information, as they are subject to the delivery times of both the suppliers of products and of carriers. Traditions de Provence (Four des Navettes) shall e-mail the consumer to inform him or her of the date on which the product was shipped, and also of any delay in delivery, which can only take place if the buyer is up-to-date with his or her obligations towards Traditions de Provence (Four des Navettes). The products are delivered to the address given by the consumer on the purchase order. In any case, all products are shipped at the consumer’s risk and, in the event of a fault or any part of the order being missing, it is up to him or her to make any necessary observations to the carrier within three days following receipt of the merchandise. Without prejudice to any steps to be taken with regard to the carrier, any complaints about visible defects or the product as delivered failing to match the product ordered must be sent to Traditions de Provence (Four des Navettes) in writing by recorded delivery with an acknowledgement of receipt within eight days of the arrival of the products, giving evidence of the anomalies found. No complaints can be dealt with once this time has elapsed. If the goods delivered are non-compliant, Traditions de Provence (Four des Navettes) undertakes to exchange the product, to offer the consumer a refund or to give him or her a credit note, it being hereby understood that any returned products must be subject to a formal agreement between Traditions de Provence (Four des Navettes) and the consumer. The product must be sent back in its original packaging and must not be impaired in any way; the consumer is liable for the return transport costs, unless there was a mistake made by Traditions de Provence (Four des Navettes). 1.1 The right of withdrawal. Article L121-20 of the Consumer Code states that any consumer has a period of seven (7) clear days to exercise his or her right of withdrawal, without having either to provide any grounds or to pay any penalties. Traditions de Provence (Four des Navettes) abides by this period of 7 clear days with effect from receipt (the postmark or Colissimo delivery note signed by the customer being deemed to be authentic) or from the acceptance of the offer for the providing of services. Return costs are to be met by the Customer. 1.2 The exercising of the right of withdrawal. Traditions de Provence (Four des Navettes) recommends that any Customer wishing to exercise his or her right of withdrawal should inform the Customer Service Department thereof. The Customer will receive an electronic mail, which will be enclosed with the package, showing the address to which the product should be returned. 1.3. Conditions for returning Products. All products must be returned in their original packaging, and in good condition, accompanied by any accessories and the documentation. The product(s) must be in perfect condition for resale. 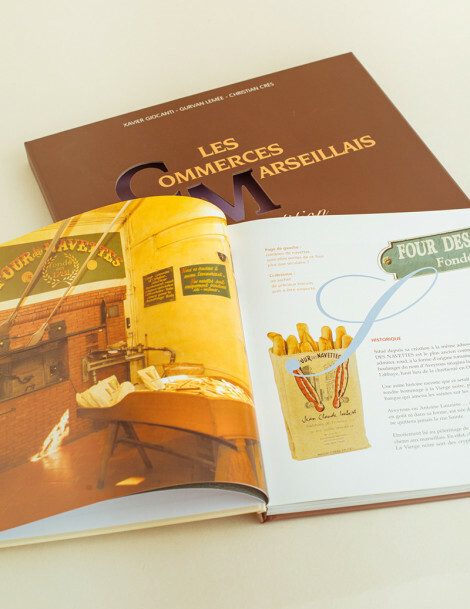 Traditions de Provence (Four des Navettes) recommends that the Customer should state the number of the invoice (or of the order) to which the products relate. 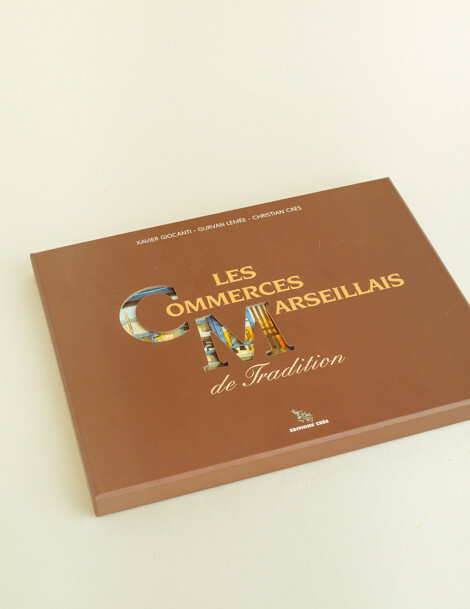 Traditions de Provence (Four des Navettes) also recommends that the Customer should send the product back in packaging designed for this purpose, so that the product cannot be identified (parcel, bubble-wrap envelope, brown paper, etc.) All products are returned at the Customer's risk and expense. 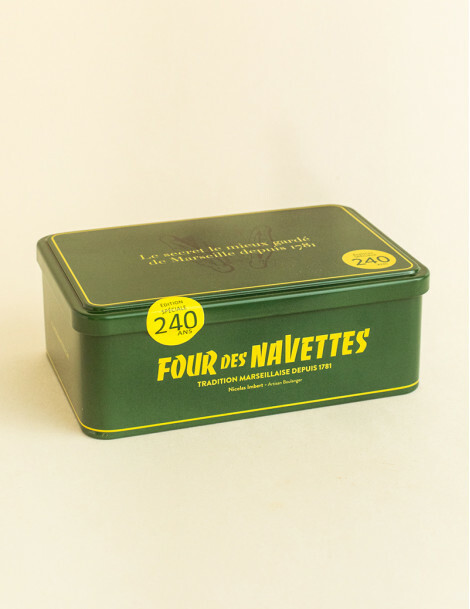 Traditions de Provence (Four des Navettes) reserves the right not to accept the product if the parcel is damaged. No refunds or exchanges will be offered for any product which is damaged, incomplete or missing and it will be shipped back to the Customer. Traditions de Provence (Four des Navettes) advises Customers to draw up a statement of the condition of the product with the carrier and for it to be recorded on the transport document in order to avoid any legal disputes. Traditions de Provence (Four des Navettes) recommends that Customers should return its products by registered delivery or take out an additional insurance policy, if necessary covering compensation for the products up to their actual market value in the event of packages being stolen or lost. Prices are shown both in euros and in the currency chosen by the consumer (French francs or other currencies are available) on the day on which the order was placed. The applicable prices are calculated to be inclusive, with French VAT for consumers residing in the European Economic Community (EEC). The applicable prices are calculated with French duty for consumers residing outside the European Economic Community (outside the EEC). Delivery costs, calculated according to the choice of carrier and the weight of the products, are added to the prices shown. The French VAT rate on the purchase order is the one applicable on the day on which the order is placed. If the delivery takes place outside of the territory of the European Union (outside the EEC), the relevant customs duties and formalities are the consumer’s sole responsibility, and the SA Traditions de Provence (Four des Navettes) can provide the total value of these duties on request. The consumer then undertakes to check that delivery is compliant with regard to the country of delivery. 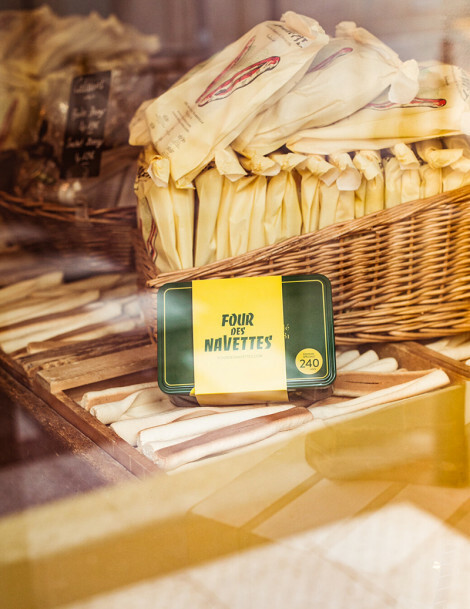 In the event of payment being made in a currency other than the French franc, Traditions de Provence (Four des Navettes) guarantees the prices displayed at the time of the purchase, as any variation in exchange is met by Traditions de Provence (Four des Navettes). Traditions de Provence (Four des Navettes) uses the MERCANET secure payment system provided by the BNP bank (ATOS group server). The card number and validation date are sent encrypted to the bank server only. Traditions de Provence (Four des Navettes) SA does not receive the card number. The following credit cards are accepted: Carte Bleue, Visa, MasterCard. For each product offered for sale, the consumer may choose to pay either immediately by credit card in SSL mode (EEC and non-EEC) or by cheque, which must be drawn on a French bank, sent by post. The consumer hereby certifies that s/he has the necessary authorisations to make the payment s/he chooses. For the purposes of payment by credit card, the payment order may be revoked if the card has been used fraudulently in accordance with the agreement concluded between the consumer and his or her bank. For the purposes of the smooth completion of the order, any personal data collected will undergo computer processing and the consumer hereby acknowledges that s/he is aware of this. Traditions de Provence (Four des Navettes) undertakes not to disclose this information to any third parties. The consumer also has a right of access and rectification with regard to any personal information held in the company’s files. Traditions de Provence (Four des Navettes) uses encryption to secure transactions and this encryption is covered by an authorisation bearing the number in line with current legislation. The vendor, Traditions de Provence (Four des Navettes), shall retain ownership of the merchandise sold until the price has been paid in full. The handing over of any security creating an obligation to pay does not constitute payment pursuant to this clause. Once the merchandise has been delivered, the provisions above are no impediment to the transfer to the buyer of any risks of loss of or damage to the goods, subject to the reservation of title and any damage they might cause. Until the price has been paid in full, the buyer must itemise the merchandise delivered under this contract. The buyer further undertakes not to pledge or assign ownership of the merchandise as a guarantee or proceed to its resale until Traditions de Provence (Four des Navettes) has received payment of its prices in full. In the same way, any changes, processing or alteration of the merchandise are prohibited until the price has been paid in full. If a legal dispute should arise out of this contractual relationship, the parties hereby undertake to look for an amicable solution prior to issuing any legal proceedings.